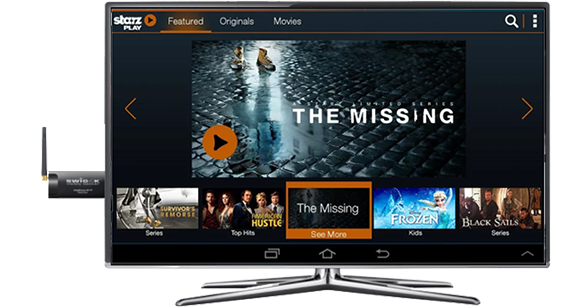 Powered By Patent-Pending Video Compression, Encoding & Streaming Technologies and Delivered On a Quad-Core, OTT Device Loaded With Cutting Edge Components and Encased In A Metal Grinded Case for Unmatched Heat Dissipation and Looks. The First Android TV Stick to Support 4K*2K H.265 Decoding, and the Only OTT Device to Support SwigStream 4K Streaming Low Bandwidth Streaming. 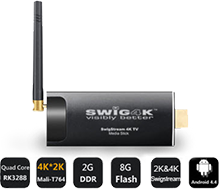 SwigStream 4K TV™ Stick offers the option of delivering 4K/UHD in both our patent pending SwigStream H.264 format and in H.265. SwigStream4K™ is also compatible with just about all popular playback devices currently in the marketplace, from mobile phones on up, and requires almost less than half the bandwidth needed for H.265 format. 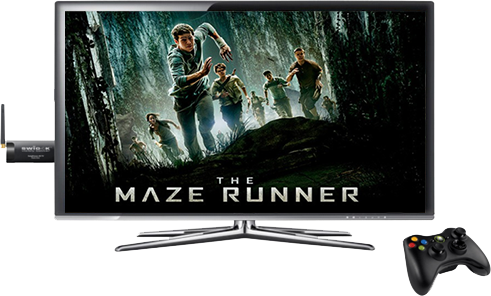 Decoders for H.265 are currently only on the new 4K TV sets, and on a limited number of other devices. 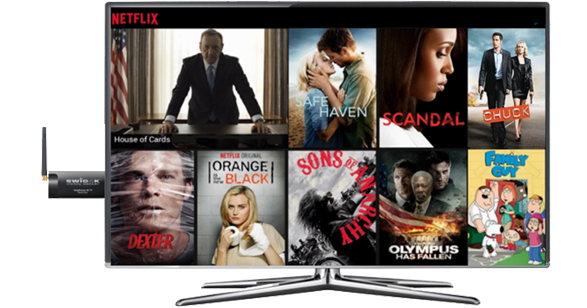 Entertainment on SwigStream™ 4K TV includes: 4K Channels, free to watch channels and Pay-Per-View films (2k and 4K/UHD), all steaming in SwigStream™ format from our global media-cloud server and from third party servers globally. 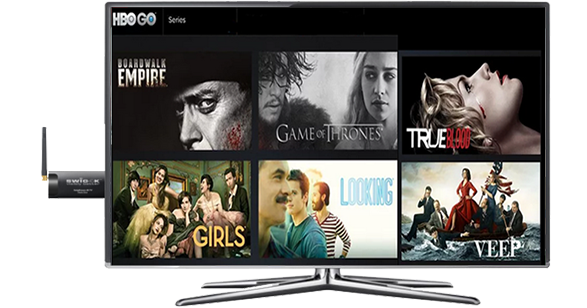 SwigStream™ 4K TV comes preloaded with ready access to the most popular TV channels, film destinations, game and connect apps. Other Android Apps can easily be added from the Swig App Store, Google Play and Amazon. 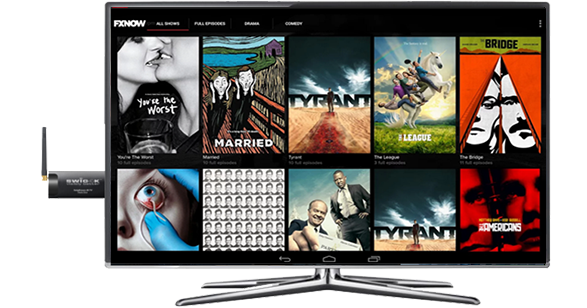 Enjoy thousands of free and premium TV shows, series, special event, sports, news and the largest selection of free and Pay-Per-View films from every corner of the globe. SwigStream Media Stick’s Quad Core CPU and Quad Core Mali-764 GPU offer blazing action and graphics. The Mali T764 Quad-core GPU in SwigStream 4K offers full support for current and next generation graphics and compute APIs. 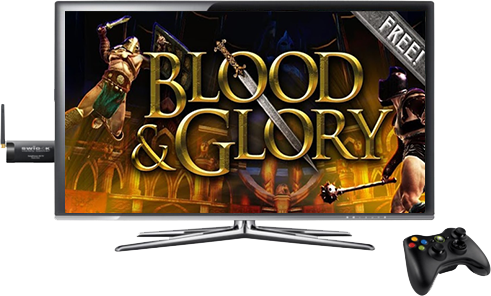 It boasts stunning graphics and guarantees excellent execution of compute-intensive tasks such as action games. Add game controls and enjoy the most action packed and graphics intensive Android games on the market with amazing speed and clarity. 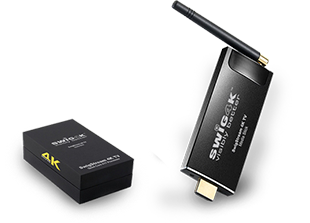 With Built-in Android™ 4.4 KitKat OS, the SwigStream™ Media Stick takes full advantage of the improved memory management. 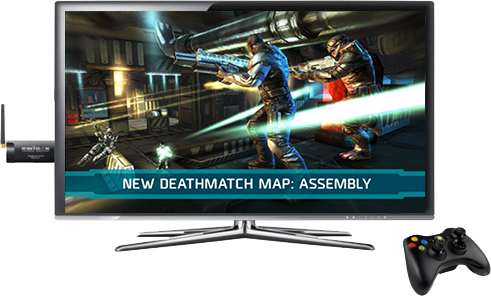 SwigStream 4K TV™ also features 2GB of DDR RAM and 8GB eMMC Flash. 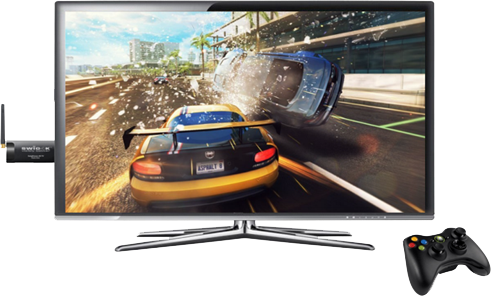 This combination offers an array of benefits in performance, security and reliability, which ultimately ensures a much richer end-user game performance and video viewing experience. Connect just about any video, music or picture source via USB or a Mini Flash card and enjoy watching it on your TV set. SwigStream 4K is also empowered with DLNA / Airplay / Miracast to stream cast videos, music or pictures through supported devices onto your HDTV big screen. 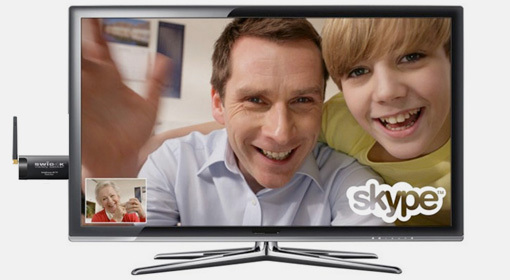 SwigStreaming to help insure the best possible video quality and user-experience, even at modest bandwidth conditions. Measuring a mere 3 1/2” x 1 ½” x 1/4”, SwigStream™ 4K TV Media Stick is far smaller and lighter than just about any mobile phone. With its simple HDMI connection, any TV set, whereever you may be, offers just about all of the entertainment options you have at home. 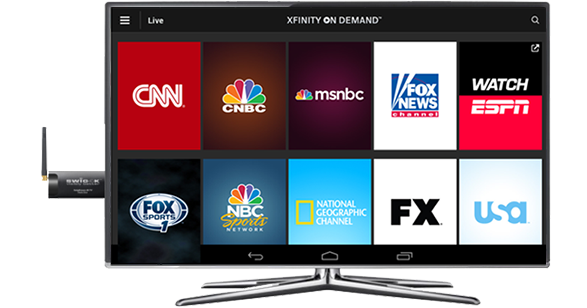 Subscribers to Dish, Direct, Time-Warner, Verizon, etc., can enjoy the same content with SwigStream™ 4K Media Stick away from home, as they can at home on the Cable/Satellite company set-top boxes. With pre-installed apps to the major cable and satellite networks, a simple click activation of your provider’s app is all that is needed. 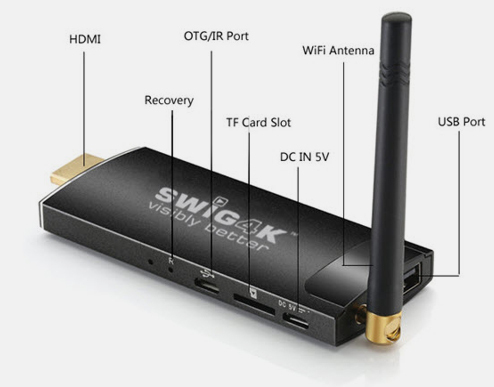 SwigStream™ 4K Media Stick comes with ultrafast 2.5 hz/5Ghz dual Wi-Fi connection. Stream high definition media with the speed and stability of a hard wire connection - without the wire. The Bt 4.0 module in SwigStream™ 4K TV Media Stick saves power consumption, reduces 3m second delay, and has a transfer-distance of over 100 meters (over 320 ft.) and supports AES-128 coding. It is compatible with 2.0, 2.1 and 3.0 all BT standards. STYLISH ALL METAL CASING IS NOT JUST FOR GREAT LOOKS. Sure, we strive to be the affordable ‘Ferrari’ of over-the-top (OTT) media devices, but the decision to use a costly metal case over flimsy plastic (used by competitors) was made primarily for its performance advantages - which actually drives every decision we make. With our Quad-Core, blazing fast processor, and other high performance components, all packed into a small 3 1/2” x 1 ½” x 1/4” case, we selected metal because it offers optimal heat dissipation and product longevity which is a clear winner for us – and you.